Your family may already own a memorial in a Cemetery or Churchyard, on which you need an additional inscription to commemorate another member of the family. If the original inscription on your family’s memorial was hand cut many years ago or with a more recent method of being sandblasted, the vast majority of memorials can be cleaned and renovated to a very high standard. 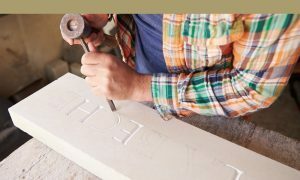 At James Hilton’s we can guarantee to match the original inscription and method used to ensure the individual style of your family memorial is maintained. Please contact us if you require an additional inscription on your memorial; where we can provide our expertise and honest advice, along with a free no obligation quotation. Please note all names have been blurred in the images below. To accurately cost additional inscriptions we always conduct a site visit. Please include the Cemetery and Grave number in the form below.